The role of language translation from one language to another is undeniable and dictionaries are building base elements in all the languages. English is not a native language of subcontinent but nowadays English is used as universal language around the world, So in this case English to Urdu translation is very necessary and important need of Urdu speaking people. 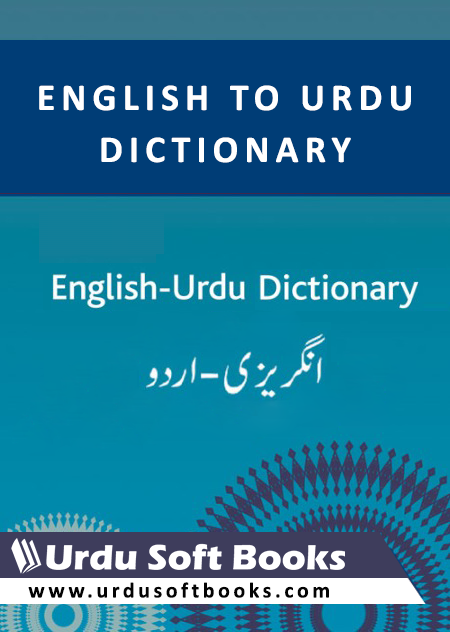 First time in Pakistan, Read online or Download English to Urdu Dictionary in PDF format. The role of language translation from one language to another is undeniable and dictionaries are building base elements in all the languages. English is not a native language of subcontinent but nowadays English is used as universal language around the world, So in this case English to Urdu translation is very necessary and important need of Urdu speaking people. First time in Pakistan, Read online or Download English to Urdu Dictionary in PDF format. A complete and editable English to Urdu word reference with more than 24000 words. Word reference gathered by Waseem Siddiqui transliterated by Shahab Alam.This material may be utilized for non-business instructive purposes just, with legitimate attribution. Kindly appreciation Copy Rights.On account of each one of the individuals who continue sending in their remarks, concerns, revisions. You can use this English to Urdu word reference for many type of English to Urdu translation purposes, because in Pakistani education system students needs to Translate English to Urdu for their education purposes. Use below links to read online or download this beautiful English to Urdu Dictionary. Your comments will encourage us to add more useful PDF Books in our digital collection.